"Oh my god! This could be a scam!" - That was my first thought when my friend told me about an application that will actually reward you for doing nothing but walking; I was very skeptical about this. However, because my friend recommended me, I took her word for it. So, I installed and start reading about it. I can tell you, it is true. Its name is Carrot Rewards. I will write here about how it works. Thanks to Jess for introducing me the application. Carrot Rewards is a product (or service) by Carrot Insights Inc. which it is based in Toronto, Canada. This company, with the sponsoring of the Government of Canada, has found a way to motivate Canadians to have more physical activity by rewarding them. So, to the point, let's answer some direct questions. Where is Carrot Rewards Available? Currently, only available for residents in the provinces of British Columbia, Newfoundland and Labrador and Ontario. Drop is a system that connects very well with millennials and high-tech people. It rewards you with points just because you pay in your usual places with your credit or debit card. In my case, I have it linked with my RBC and Scotiabank bank accounts. Each time I pay something in the Walmart, Mc Donalds, Uber, Tim Hortons and Starbucks (there are others companies, but I selected those) I get points. There are other random special offers you may take advantage. In the end, when you have enough points, you can change them for some rewards such as Netflix Gift Card, Starbucks Gift Cards, Indigo Gift Cards, iTunes Card, Amazon credit, Cineplex and others. If you want to sign up you can just follow this link. I will write later a full article about Drop. We are, for now, focusing on the Carrot Rewards. You will earn points in your Petro-Points membership. These points, when enough, can be exchanged for gas and other things. If you own a credit card from RBC you are already a member of RBC Rewards and its points. There is not too much to say but you will see extra points. RBC points can be exchanged for things in stores like BestBuy. Cineplex, one of the largest cinema franchises in Canada has its own loyalty system. Get points and exchange them for tickets or pop-corns when going to the movies. How do I Sign Up for Carrot Rewards? A not very old smartphone. I have been using Carrot Rewards in a Google LG Nexus 5 with Android 6. Install the Google Fit application and configure it. The application will ask for some personal information such as age, height and weight. It will also ask for location permission; accept it as this is important. Carrot Rewards does not use your location, instead, it pulls that information from Google Fit. Make sure Google Fit marks your activity. Do a test, create a workout and walk for some minutes. Install the Carrot Rewards application. Now, it is very important you use the same email you use in your other loyalty cards. Carrot Rewards and Drop for example links using the email. Use the following code to get some extra points luisd7324. After signing up, go to the account section in the application and in the Manage Device section link your Google Fit account. How does Carrot Rewards Point System work? After you install the application. You won't get any points for the first week. Don't be sad, it is totally normal. The Carrot system starts analyzing your activity (through the Google Fit). At the end of the first week, you will get your first step goal. My advice to you is you shouldn't do too much walking that first week, so Carrots will give you a low goal. 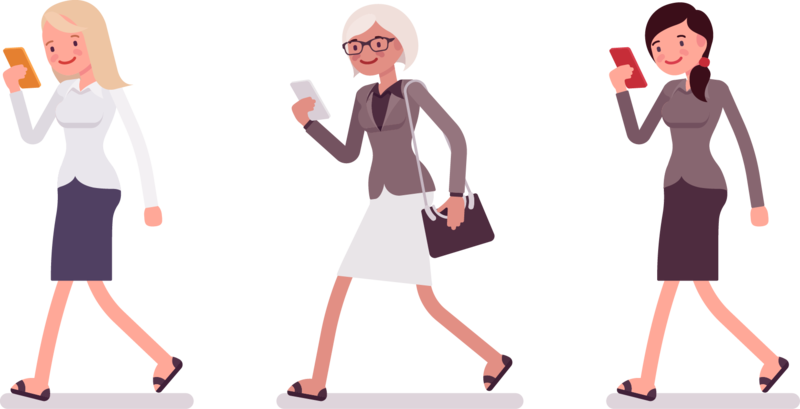 Your daily goal is to get to that minimum amount of steps, then the system will reward you with points on the loyalty card you choose. If you do this in consecutive days, you will get more points per day. The daily step goal will get updated each weekend. It seems to be the average of your steps. So, if you walk every day the minimum required to get the points the goal will increase accordingly your activity. You may want to challenge a friend, that way the system will reward you with extra points if you do your daily goal 10 of the 14 slots (one week, two participants). So, you can do combination as each one may do five days (as you want, they do not need to be consecutive) or one partner may do seven days and the other only three. It is up to you two, the only requirement to get these extra points is to get 10 accomplished daily goals in a week. When you do the challenge, your daily goal update will always raise up. It doesn't matter if you did 100% for five days, and 0% for two days (this would average 71.42%) but since you are challenging, the system algorithm will increase it. There is a point in your life that the carrot system will ask for too many daily steps. I got once to 13 thousand. In order to decrement that goal, you don't need to do a challenge, and you just fail your daily goal. At the end of the week, you will get your update and you will see it will start going down. Carrot Plus is the paid verssion of Carrot Rewards. Depending on your subscription (cost) you can do 2x, 5x or 10x. For example, I am using the Scene card; for daily goals without Carrot Plus I would get 1, 2, 3, 4 or 5 points and for the weekly challenge 40; I have instead 10, 20, 30, 40, 50 and 400 points. At this moment, Carrot Plus 10x costs 5.99 Canadian dollars. I have read in some news it will increase in January 2019 to the twice. Sadly, since December 8th, 2018, Carrot won't give points for the daily goals if you are in the free version and you live in Ontario. Paid users, will still have daily points. Is Carrot Plus a good Option? Yes, and I will explain my case. Let's pretend I don't miss any day. Check the following table. So, if you use only Carrot (free version), after Dec 8th, it would take 25 challenges, abo(ut 18 weeks (four months) to get 1000 (equivalent for a free movie ticket). On the other hand, using Carrot Plus 10x, you will do more than 1000 points each 2 challenges (ten days, less dan two weeks). Last time I checked, Cineplex standard ticket movie price was 12.99 Canadian dollars. So, in a regular month, I would do from 2 to 3 free tickets which they worth 12.99 or 23.98 $. You do not need to be a mathematician to realize that paying the Carrot Plus 10x worths it. Carry your cell phone wherever you go, each step is a step to get points. If you have a smartwatch with Google Wear, install the Google Fit application there. If you plan to do a long walking, tell the Google Fit you are about to start walking, the GPS will keep on and it will detect your route better. Always open the application once a day, it refreshes the information and pulls it from Google. If you have a close friend who is committed with the rewards, challenge him/her.